Originally written for Dr. Katharine Harmon’s History of the Catholic Church in America Class on 11-21-14. I enjoyed writing this piece on how Pope St. Pius X’ document Tra Le Sollecitudini was interpreted and engaged here in America, specifically by Justine Ward, who founded an amazing way of teaching Gregorian Chant to children. Justine started and held the first Congress for Chant in America. “What she wants above all,” wrote Dom Augustine Gatard, O.S.B., Prior of Farnborough Abbey, England, who was at the Congress, “is to put the faithful, all the faithful, in the position to participate actively, as much as possible … in the liturgy and in the chant of the Catholic Church.” (2) She especially encouraged girls’ choirs. (3) In a private audience in 1924, Pope Pius XI gave his Apostolic blessing to her work. (4) Thanks be to God for Justine Ward and the many others who assisted in the beautiful Liturgical Renewal we have had in the Church. May it continue to be renewed and may Justine Ward and St. Pius X, help teach us a little bit about walking the Way of Beauty to Heaven, more specifically through the Heavenly Liturgy. John Adams once wrote: “Went in the afternoon, to the Romish Chapel [in Philadelphia]. The scenery and the music are so calculated to take in mankind that I wonder the Reformation ever succeeded … the chanting is exquisitely soft and sweet.” (Chase, 61) While Adams witnessed the beauty of the proper execution of “Romish” chant in October 9, 1774 he never could have envisioned what would one day take place in the country soon to be founded in regards to the proper execution, teaching, and use of Gregorian chant. Throughout the early part of the 20th century a response to Pope St. Pius X’s 1903 Tra le Sollecitudini (Instruction on Sacred Music) was carried out across the globe by Catholic musicians in different ways. Some, embraced the changes wholeheartedly, others chose to implement parts of them with and without proper catechesis. In the United States of America Pius X’s Motu Proprio was embraced particularly by Justine Ward a woman with little musical instruction, but with a passion for music and her new faith. Across the board, the training of the young in the church’s tradition of music was seen as one of the most important responses to Pius X’s instruction on Sacred Music. Ward and others took this to heart in developing programs, which educated the young in methods of chanting and ensured that all might sing. From 1903 on into the 1920’s and finishing up around the 1950’s what could be called as the last “traditional” Catholic music movement occurred in response to Pius X’s Motu Proprio Tra le Sollecitudini (hereafter referred to as “TLS”). 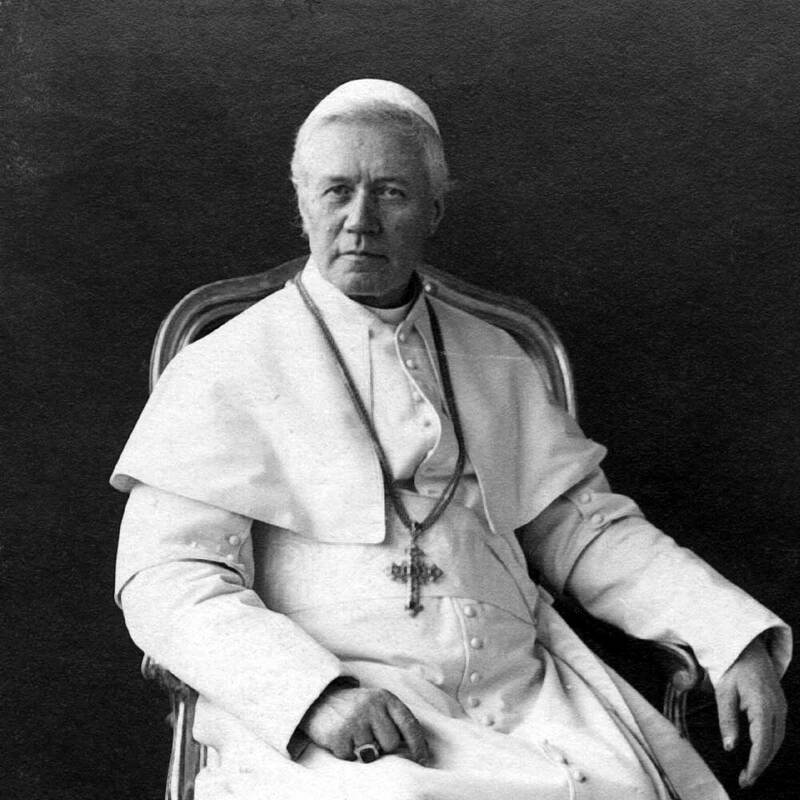 TLS was written and promulgated by Pius X after a series of abuses in regards to music in the liturgy kept happening. Pius ordered that there be two particular types of music to be used in the Roman Liturgy. That is, Gregorian chant, which has been “inherited from the ancient fathers” (Pius X, II 3) and Classic Polyphony. The main reason for these abuses was that the music was becoming quite operatic and theatrical. Instead of being music, which by nature of its’ composition and execution lifted the congregation to God and was a prayer in itself; music in the Sacred Liturgy had become a show, detracting from the sacred action occurring. responses to Pius X’s TLS, one of which was the action of Justine Ward. Ward, thought to have had no formal training in “vocal music, choral music, or pedagogy” (Brancaleone, 7) became known as one of the leading advocates of and promulgators of Gregorian chant in America. Due to her parent’s wishes for her to not pursue a musical degree in Europe, she was left with receiving private musical instruction. (Zuberbueler, 14) Ward, a Catholic convert started to fall in love with Gregorian chant due to her friendship with Fr. Thomas E. Shields and Fr. John B. Young SJ (Brancaleone, 8) and having attended a retreat given “at the Convent of the Sacred Heart in Manhattanville in Harlem” (Brancaleone, 8) by another Jesuit she began to learn the basics of pedagogy (the methods and concepts of teaching) and formulate ideas on how to teach Gregorian Chant to children. Dom G Mercure, a Benedictine Monk of the Monastery of St. Benoit-du-Lac, Quebec wrote in a 1935 issue of The Caecilia: “one of the reasons why Gregorian Chant is not more widespread in ecclesiastical music circles is because the public expect to find in Gregorian chant, or plain chant, the same element of sensible pleasure that is found in profane music or even in religious music other than plain chant.” (213) Pius X in his Motu Proprio TLS knew well the state of music in the church and world. For instance throughout the War Between the States (1861) Union and Confederate Soldiers used hymns as a way of rallying the troops and bringing them comfort from home. Hymns such as the Battle Hymn of the Republic, or Dixie would be heard across the battlefields as soldiers marched. Still others such as Amazing Grace, or It Came Upon the Midnight Clear were sung in many protestant churches at their services. Hymns in the spoken language of the people gathered, tended to have more emotional and pleasurable connotations associated with them. As people heard these hymns full of poetic and beautiful language they were attracted to them more and more. The chants of the church in a language unknown seemed distant and did not stir the emotions of the musically untrained ear. How were the Catholic musicians in America supposed to combat these feelings, which could not be ignored? Justine Ward in her article for the Atlantic Monthly published in 1906 The Reform in Church Music puts it well: “church music is made up of two elements, music and prayer, and it cannot be judged by the value of one of its elements tested as a separate entity . . . “Lex orandi lex cantandi”… Prayer and music must so combine as to make one art; the music must pray, the prayer-must sing…This, then, is the true test of a musical composition for the church: Does it conform to the law of prayer?” (455) According to Justine music should not be judged as solely inspiring emotion or being judged on the music alone, rather music for use in the Liturgy is interwoven with prayer in such a manner that the two cannot be separated. For to separate these two things, which in a way are one, is to tear that work of art apart. To Pius X, Gregorian Chant is the primary music of the church. Holzmer, Ward, and Mercure all agree that there are certain aspects of Gregorian Chant which must be met in order to ensure that it is sung properly and can truly be that unification of “music and prayer” (Ward 455) The promulgation of Gregorian chant in the church as well as to provide the means necessary for its’ survival relied upon the teaching and training of the young in chanting and the proper execution of this tradition. Ward, working with Fr. Shields, Fr. Young, and eventually Dom André Mocquereau (founder of the Solesmes method of Gregorian chant) created a program that would do just that. 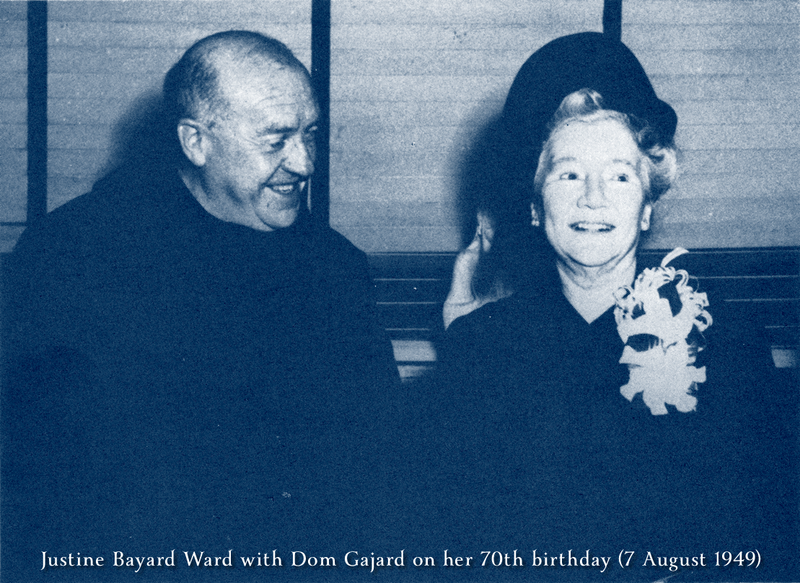 Early in her career, after her conversion to the Catholic Church and divorce of her husband (which left her considerably wealthy) Ward started working with Fr. Shields and Young while assisting at the Catholic University of America. After a short period there “in the summer of 1916, Mother Georgia Stevens asked Ward to come to Manhattanville” (Brancaleone 10) In 1917, she with the help of Mother Stevens created the Pius X Institute of Liturgical Music, a school devoted to training teachers and students in not only what was becoming known as the “Ward Method,” but also in other forms of Liturgical Music in the Church. Ward’s method of teaching chant to the young was unique in that it used body movements as a way of understanding rhythm. Through the Pius X Institute and her newfound friendships with Dom Mocquereau, and others Ward began to share her method of teaching Gregorian chant with others in other countries. “In 1925, Ward brought her method to Holland…Belgium, France, England, Ireland, New Zealand, China, and Italy.” (Zuberbueler, 16) For Ward teaching and singing Gregorian chant was a chance at learning, singing, and praying. It was a way of living the liturgical life of the church in a new way. While Ward worked on the teaching of Gregorian Chant others in America took a different approach to the Pius X’s TLS. According to Paul Hume’s Catholic Church Music, one of the ways in which the objectives of the Motu Proprio were enforced was through the creation of a “White List.” “The “White List” is a list of music approved for use in church by the St. Gregory Society of America. The idea of having a “white list” comes from Pius X: “Still, since modern music has risen mainly to serve profane uses, greater care must be taken with regard to it, in order that the musical compositions of modern style which are admitted in the Church may contain nothing profane, be free from reminiscences of motifs adopted in the theaters, and be not fashioned even in their external forms after the manner of profane pieces.” (Pius X, II 5) This movement in the church away from music of a secular nature was led by Pius X and joined by Ward, the St. Gregory Society of America and others. Ward and the St. Gregory Society of America published hymnals containing chants and hymns, which followed the “Classic Polyphony” called for by Pius X. Pope Pius XII later in 1955, published Musicae Sacrae Disciplina an instruction on the usage of hymns for the liturgy. In Musicae Sacrae Disciplina, Pius XII says: “We must also hold in honor that music which is not primarily a part of the sacred liturgy, but which by its power and purpose greatly aids religion. This music is therefore rightly called religious music. The Church has possessed such music from the beginning and it has developed happily under the Church’s auspices. As experience shows, it can exercise great and salutary force and power on the souls of the faithful, both when it is used in churches during non-liturgical services and ceremonies, or when it is used outside churches at various solemnities and celebrations.” (Pius XII 36) Granted the usage of hymns was already something that was customary in the church at the time. With the stipulations imposed on music by Pius X, hymns (note: vernacular hymns) were not to be used in the Liturgy, but instead could be used for prayers, gatherings, processions, novenas, etc. In short, they could only be used for celebrations outside of the Liturgy. Gregorian Chant was still the official music of the church and remains so to this day. Justine Ward and others worked tirelessly, embracing the call of the reforms instituted by Pius X and catered them specifically to children. They worked for an idea that would be largely envisioned in coming years by the Second Vatican Council. They worked to ensure that all might sing. Brancaleone, Francis. “Justine Ward and the Fostering of an American Solesmes Chant Tradition” Sacred Music Fall 2009: 6-26. Print. Holzmer, Robert. “People don’t Like Gregorian Chant” The Caecilia May 1935: 239-232. Print. Hume, Paul. Catholic Church Music Binghamton: Vail-Ballou Pres, Inc. 1956. Print. Mercure, Dom G. “True Church Music Should Calm the Mind Not Minister to the Senses” The Caecilia May 1936: 213-214. Print. Ward, Justine B. “The Reform In Church Music” The Atlantic Monthly January 1907:455-463. Print. Zuberbueler, Amy. “The Ward Method: Chant from the Ground Up” Sacred Music Spring 2006: 14-17. Print.